It’s February — the month of LOVE — and yet it seems all we hear about lately is the flu season! Every broadcast seems to report about this year’s flu bug, how serious it is, and why everyone needs to get the shot. Just for kicks, we did a Google search for “Flu Bug” — In .18 seconds, there were 1,430,000 hits! All kinds — even “Flu Bugs of the Zodiac” which provides information about how each of the zodiac signs handles the flu! In this blog article, we want to focus on a great alternative to the Flu Bug. Let’s focus on the Love Bug! And guess what? When we googled “Love Bug” we got 30,700,000 hits in .15 seconds! We got excited, thinking “Wow! The Love Bug is the obvious favorite between the two bugs!” Unfortunately, we realized quite quickly that a lot of those hits had to do with the actual bugs, not the emotion! And to make it even worse, “Spiritual Love Bug” got zero hits!! But one thing we know for sure: we’ve all been bitten by the love bug. Some of those bites resulted in infatuation. Others were just appetizers. Some bites were rather feverish, causing us to fall head over heels in love. Bil shares a personal note: When I met Cher, it was love at first sight. And fortunately she felt the same way. We were smitten with each other – and we still are! She still laughs at my dry humor and groaner puns. And she enjoys our Indiana Jones adventures, even though she sometimes breaks a nail. We’re together 24-7-365. I’m a lucky guy. We first met when I worked for the U.S. Postal Service. I was on the management team that hired her. She was the Assistant Registrar at Hood College and I wanted to register my interest in her. About a month after she started to work as the new Personnel Manager at the Post Office, I parked my pickup, an old 1952 International three-speed, behind her car so she couldn’t back out of her parking spot. When she asked whose truck it was, I pretended innocence – “Oh, am I blocking you in? The rest, as they say, is his-story – that would be my story. We’re celebrating our 40th wedding anniversary as love bugs this year. Which brings us to today’s talk topic. We’ve entitled it Love Bug. But the love bug we’re going to talk about is our love for the Spirituality and Truth. Metaphysically, Pontius Pilate stands for the carnal will, which also means muddy water. So, Jesus the Christ, symbolized as a fish, suffered under muddy water. Muddy water represents the murkiness of the material appetites of our human self. So Spirit suffers, is repressed by, our material appetites. When Jesus said: “I am the way, the Truth and the Life. 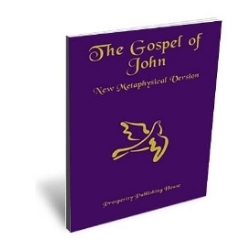 No one comes to the Father except through me,” He was referring to His Christ Nature, the I-am of God individualized as Him, the Only Begotten Son – the Indwelling Christ Principle in Him and in us. So, the I-am of us is the Truth of us. God in us and as us is the Truth of us. There are timeless truths. Relative truths. Ultimate Truth. Absolute Truth. The human instruments we use to search for truth in the material realm are ill equipped to measure spiritual truths. Eric Butterworth said “Truth is much more than a mere gathering of ‘information’. It is a process of ‘out formation’.” We believe he’s right. Truth is a sort of a Divine inhalation and an exhalation that produces all that is. If you laugh and drink soda pop at the same time, it will come out your nose. When someone with money meets someone with experience, the one with the experience ends up with the money, and the one with the money ends up with experience. Never turn a hand held vacuum cleaner on when you’re holding a cat. This one comes from a 7-year-old: If your Mom is mad at your Dad, don’t let her brush your hair. And here’s one we made up: It’s not the Christ in us that has a bad day, it’s the bad day in us that needs to have a Christ-moment. The Love Bug of Truth is the one bug we WANT to catch … and spread to others! And just as that pesky flu bug has a list of symptoms, guess what? The Love Bug of Truth also has symptom — THREE symptoms! Your adventure this week is to see how many of these symptoms you feel … and how you can keep those symptoms flowing! And they will be easy to remember … just think of the word BUG! When you are bitten by the Love Bug of Truth, you feel a strengthening of Belief. 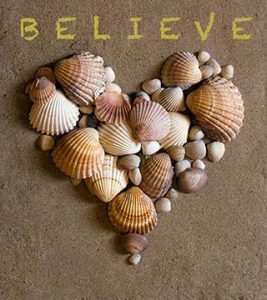 Belief is the difference between living life in HOPE of something, and KNOWING that you know that you know. Belief truly affects your sense of inner peace. When you know Truth, from the depths of your being, you can relax through any situation. Example: In professional speaking, which we’ve done since 1984, we’ve learned something very interesting about the business. It is cyclical … it doesn’t really matter how fabulous you might be, the speaking business has definite ups and downs, and fairly predictable cycles. When you’re starting out and hit a down time, you panic, worry, and run around trying to make things happen. No matter what anyone tells you, you think the world is coming to an end, you’re finished, and you’ll have to actually go back and take on a “real job!” Once you’ve been around that block a few times, you recognize it, and you live from that knowing that you don’t need to panic. Instead, you use that down time to rest, take care of yourself, and work on new material or marketing tactics. Then, when the up cycle comes around again, you can enter it refreshed and ready to dazzle with your new stuff. Meanwhile, the newbie enters the up market exhausted from all the needless worry! Those who don’t learn and know, won’t make it in the business! The same principle is true in our Spiritual life. When you hit a drought in your prosperity flow, or run into challenges with health, career, relationships, whatever … when BELIEF is your foundation, you don’t start doubting the Principles. That is when you get busy USING them! When you feel yourself facing a challenge from that place of BELIEF, you can be sure you’ve been bitten by the Love Bug of Truth! 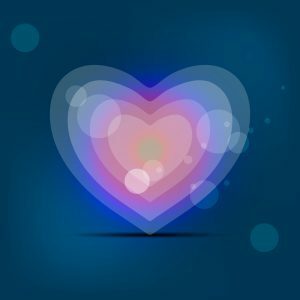 When you are bitten by the Love Bug of Truth, you feel an “inner click” of Understanding. Understanding is the difference between doing something because someone said you should be doing it, and doing it because you “get it!” It is that A-ha that hits you when you break through a Truth barrier. Here’s a metaphor example to help explain what we mean. It hit us when we watched our grandson playing with one of his toys, back when he was just a young tyke. You’ve seen the toy we’re talking about, for sure. It is a big block that has shapes cut into it. 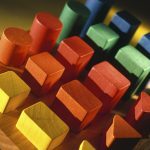 then the child has a lot of plastic blocks cut into the same shapes, and he/she is supposed to figure out how to drop the right shape into the hole of the same shape. We watched our grandson play with it — and every now and then, hit-or-miss, by accident, he hit it right – and he got excited! But the really cool moment came when he made the connection … he realized what he was doing and could replicate it over and over! It’s that a-ha! Think about the practices we have as we live our Truth principles. How often do we do stuff because someone said we should … maybe like affirmations? We worry about: “Am I saying it right? Did I use the right words? 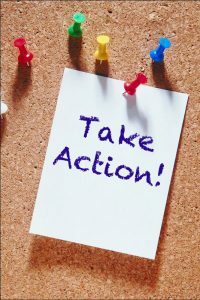 Is there enough energy behind it…” But when our affirmations are grounded in Truth, we understand that they always work! We UNDERSTAND that things don’t become true because we affirm them … We affirm them because they are Truth! Cher shares: For example, I could, with powerful enthusiasm and energy, using all the right words, create an amazing statement that affirms I am 5’9” tall. Folks, no matter how often I repeat that, it just ain’t gonna happen! Why? Because it is not grounded in anything remotely linked to Truth! I am only 5’2″ — and that’s when I stretch! We love the quote by Oliver Wendell Holmes: “One’s mind, once stretched by a new idea, never regains its original dimensions.” We paraphrase it by saying, “Once you know something, you can never un-know it! When you feel that inner click that says “I get it!” that click of Understanding, you can be sure you’ve been bitten by the Love Bug of Truth! When you are bitten by the Love Bug of Truth, you live life from an attitude of Gratitude. 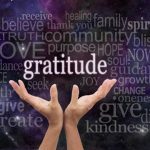 Living in Gratitude is the difference between allowing outer circumstances to determine our emotional state and choosing to live from a place of gratitude regardless of what is going on. We wish we could say this is easy! Sometimes we do it really well – and then there are other times when we struggle with it … like when we went to the movies this past week and there was a hold up in letting people go in. We found ourselves getting frustrated, worries we’d miss the beginning of the show! Yikes! We needed to catch a big case of the Love Bug of Truth! So remember, Gratitude is an attitude, not an event! We develop it by choice. This week, when you open your eyes in the morning, just take a moment to say “I greet this day with gratitude and joy!” During the day, if you happen to find yourself dreading something you need to do, pause a moment and say, “I am God in action! I do what I need to do with gratitude and joy!” In all things, I give thanks! When you feel yourself facing a challenge from a deep place of Belief, when you feel that inner click of Understanding, and when you realize you are living every moment of every day from an attitude of Gratitude, you are experiencing the BUG symptoms — and you can be sure you’ve been bitten by the Love Bug of Truth! Happy February — Focus on LOVE this month!